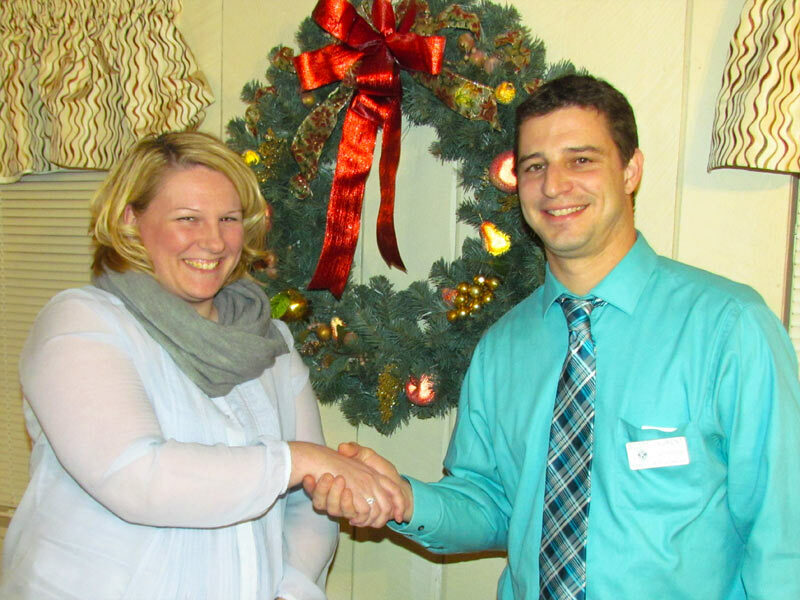 The Annual Kiwanis Christmas Party & Yankee Swap is Monday Dec. 9th at Pheasant Ridge. You are invited to bring a spouse or friend. Please bring a gift valued at $10.00 or less if you would like to take part in the Yankee Swap. The Laconia Holiday Parade is this Saturday at 11am. Scott Laurent is spearheading the Kiwanis float, which will have the theme “twas the night before Christmas.” Dress comfortable or wear flannel pajamas. We are looking for Kiwanians or Key Club members to walk with us and hand out candy canes. Work on the float will continue the morning of the parade on Bay St. Walkers should meet at the corner of Wyatt Park and South Main Street at 10:30 am and ask the parade official the location of the Kiwanis float, which will be nearby. Last Friday about 20 members participated in the homeless demonstration outside Laconia High School. The following morning Club members made breakfast sandwiches for Carey House. 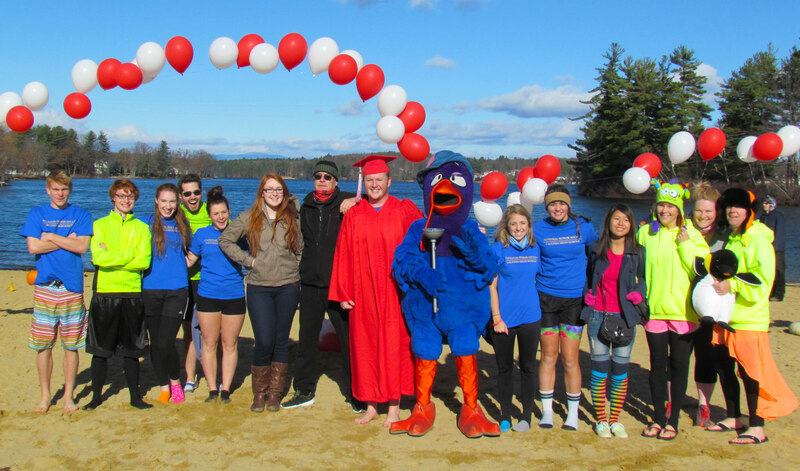 This was followed by participation in the annual Salvation Army Turkey Plunge with several Key Club members taking the plunge. Braving the cold and participating with the Key Club were Meredith Horton, Kathy Calvin, and her sister-in-law. 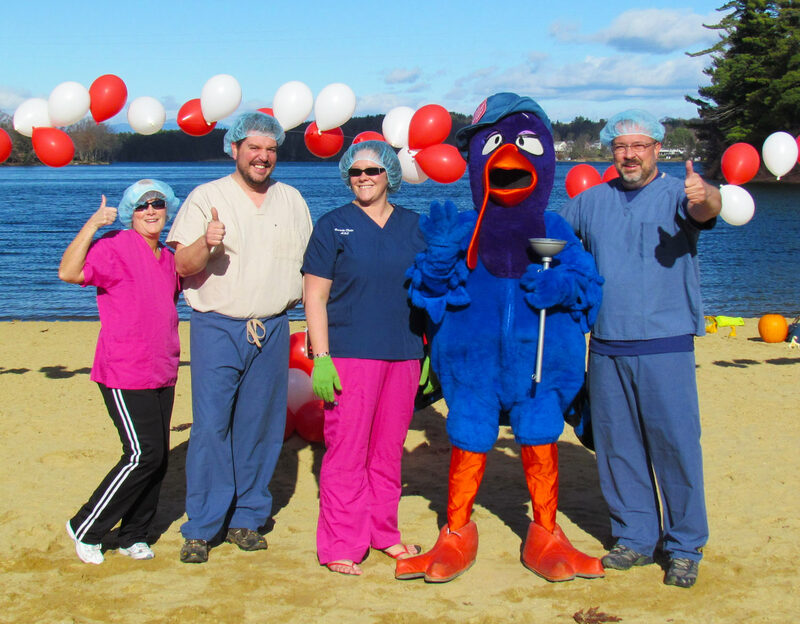 For details and photos of the Turkey Plunge scroll to the bottom of the page. The Key Club will also be joining Joe and Vi Adrignola on Dec. 7th to purchase food at Market Basket at 9:30 am to take advantage of AllBrite matching donations. Coming up: Christmas Village, Polar Express and Christmas caroling. 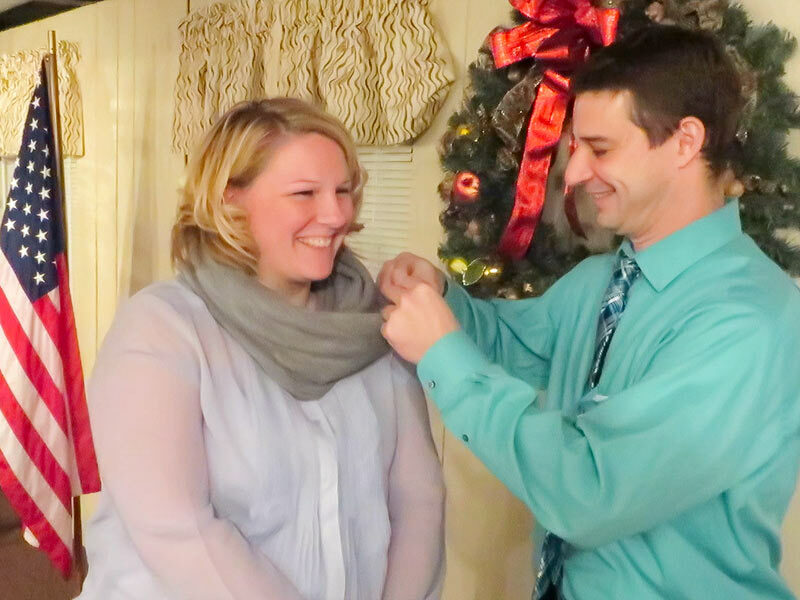 Meredith Horton was inducted into the Club by Past President Brian Winslow. 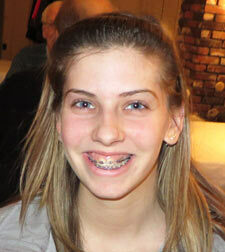 Meredith, who was sponsored by Immediate Past President Scott Laurent, is employed by Northway Bank as a Mortgage Processor. 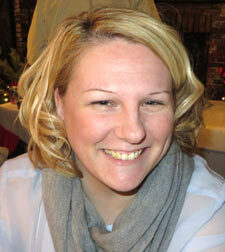 Meredith, a native of Belmont, lives in Laconia with her husband, Walter and two children, Emma and Abby. Welcome to the club, Meredith! 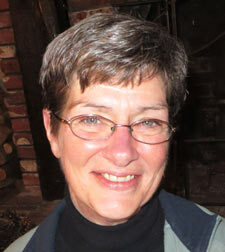 $3 from Steve Loughlin: $1 in honor of Meredith Horton joining the Club and $1 each for the participation of Meredith Horton and Kathy Calvin at Saturday’s Turkey Plunge. Betty Ballantyne introduced Robbie Prescott-Neylon, Librarian at Woodland Heights Elementary School. Robbie began by thanking the Kiwanis for their KARES program. She then distributed thank you notes from this past Friday's Kiwanis KARES event, which was held at Woodland Heights School. 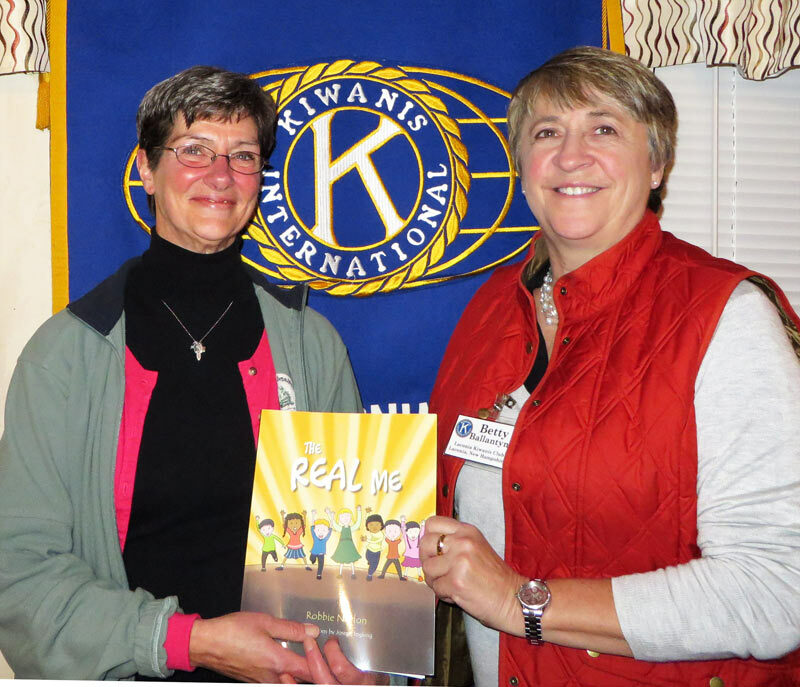 Note: The Key Clubbers who attended tonight’s meeting mentioned that they remember the Kiwanis KARES program when it was then called the RIF (Reading-Is-Fundamental) program. 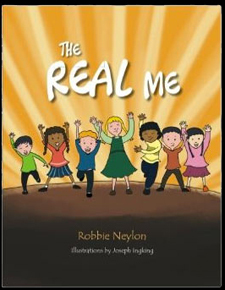 Robbie is the author of a children’s book titled, “The Real Me.” Robbie noted it was not originally intended to be a published book but, rather, started as a story about Nick (an eight year-old, third grade, special needs child) who was transitioning from Gilford Elementary to a different school. The book was a class project that all of Nick’s classmates helped with. Robbie wrote the story and the children illustrated it. When Nick left, the class presented the book and did a showcase to say goodbye to him. The project was designed to help a little boy so his classmates could give him a proper farewell. Tonight's meeting was adjourned at 7:31 p.m.
On Saturday, November 23rd, Kiwanis Club Secretary Kathy Calvin and future Kiwanian Meredith Horton participated in the 9th Annual Salvation Army Turkey Plunge held at Opechee Park on North Main Street in Laconia. 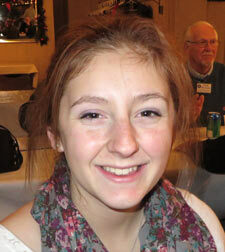 Participating as the Kiwanis Team, they were joined by members of the Laconia High School Key Club and the LHS National Honor Society. Kiwanian Kevin Irish also showed his support for the annual event and participated with the LRGHealthcare Team. 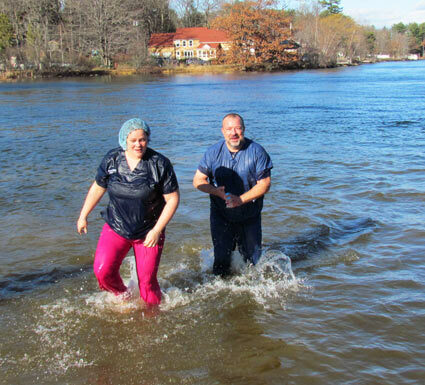 At the time of the plunge, the water temperature was 48 degrees. The air temperature was 36 degrees with a wind chill of 28 degrees. 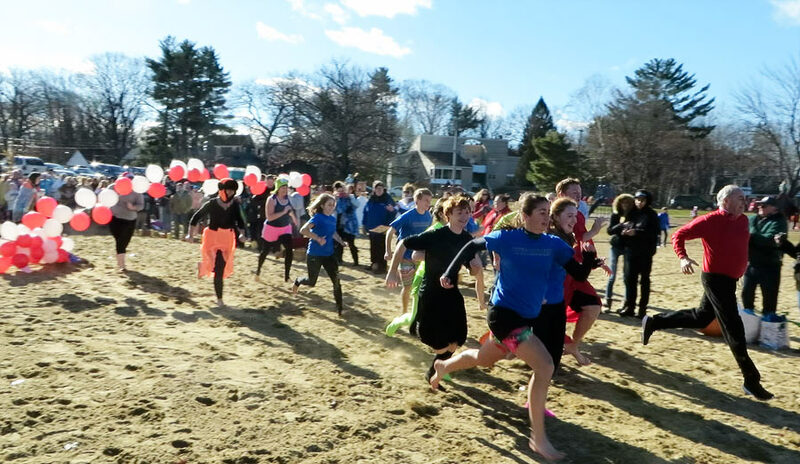 With smiles on their faces, the team races to the frigid water. Kathy encourages Meredith Horton to leave the water. Kathy poses for the paparazzi. Kevin Irish (at right) is ready to take the plunge with the LRGHealthcare Team. Kevin Irish takes a moment to apply sun tan lotion.